High-speed broadband. An award-winning brewpub built with recycled materials as part of a “zero waste” mission. An artist-in-residence program. Organic pizza from a wood-fired oven. There is new life in the mountains of Tokushima Prefecture, in the neighboring towns of Kamiyama and Kamikatsu, even as depopulation afflicts most rural areas with rot. In Kamiyama, young people work remotely for tech companies or as artists in cooperative spaces. In Kamikatsu, the elderly test drones as part of their work harvesting leaves and flowers for use as garnishes in restaurants as far away as Europe. Prime Minister Shinzo Abe has stressed the need to revitalize rural areas as the country struggles with demographic decline. The stakes are high. Depopulation may wipe out nearly half of its towns in the coming decades. Calling it “creative depopulation,” some see what is happening in Tokushima as a way forward. They can’t stop the demographic decline, they say, but they can work with it. “We want to create a system or a model that can sustain the community, even if the population is halved,” said Shinya Ominami, 64, chairman of the private nonprofit organization Green Valley, one of the driving forces behind the changes in Kamiyama. Japan’s population, among the world’s most rapidly aging, is forecast to shrink from 127 million to about 100 million over the next three decades, adding pressure on a government already burdened with the world’s biggest debt as a share of the economy. 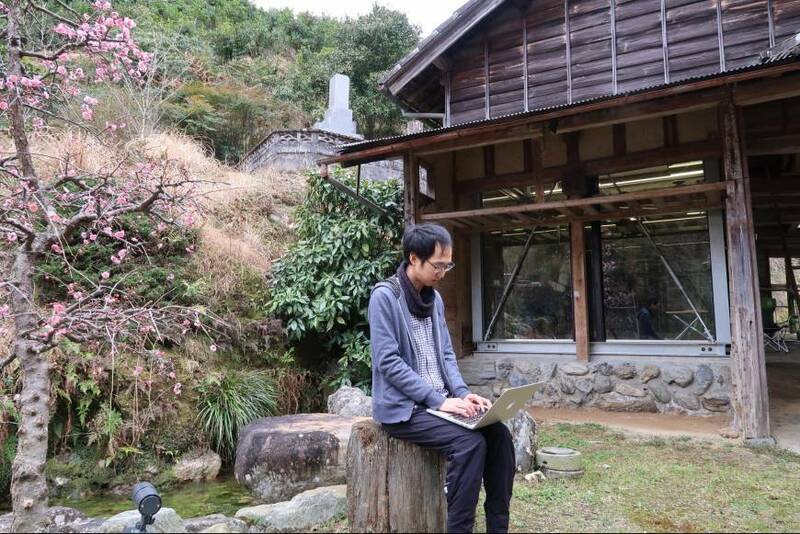 A stroke of luck brought software engineer Yoichi Dan to Kamiyama, a town of about 6,000 people where more than a dozen companies, most in the tech sector, have opened satellite offices or permitted employees to work remotely. Tired of big-city life, Dan and his wife were eager to get out of Tokyo. So he told his boss at Sansan Inc., which offers cloud-based business card management services, that he planned to quit and had begun searching for jobs elsewhere. His boss suggested he consider Kamiyama, where Sansan has a satellite office it used for seminars and training. Dan and his wife moved there in 2013, and have since had a baby girl. Efforts to attract creative types to Kamiyama date to at least 1999, when Green Valley’s Ominami and others first started inviting artists to live there. Tokushima Prefecture later installed a fiber-optic network throughout the region, and Green Valley started a program to attract young people who wanted to open needed shops and businesses. With Kamiyama as a model, 43 companies have opened satellite offices in nine towns in Tokushima, according to the prefectural government. The economic impact of such measures is difficult to quantify, but any inflow of younger people to rural areas will help keep communities alive, said Satoshi Shirato, director of research at Mitsubishi Research Institute in Tokyo. One recent transplant to Kamiyama is Tetsu Sumita, chairman of Tokyo-based Plat-Ease Corp., which develops computer programs to manage and monitor TV broadcasts and video distribution. He opened a satellite office in the town in 2013 as part of a plan to diversify disaster-related risks for the company. He has lived there ever since. Sumita said he was attracted by Kamiyama’s IT infrastructure and its welcoming, laid-back atmosphere, which he cited as a reason for its recent success in attracting new people. Another reason, he said, was the grass roots nature of its revitalization efforts. “Private sector-led initiatives and projects are much more stable and sustainable once a self-reliant model is established,” he said. 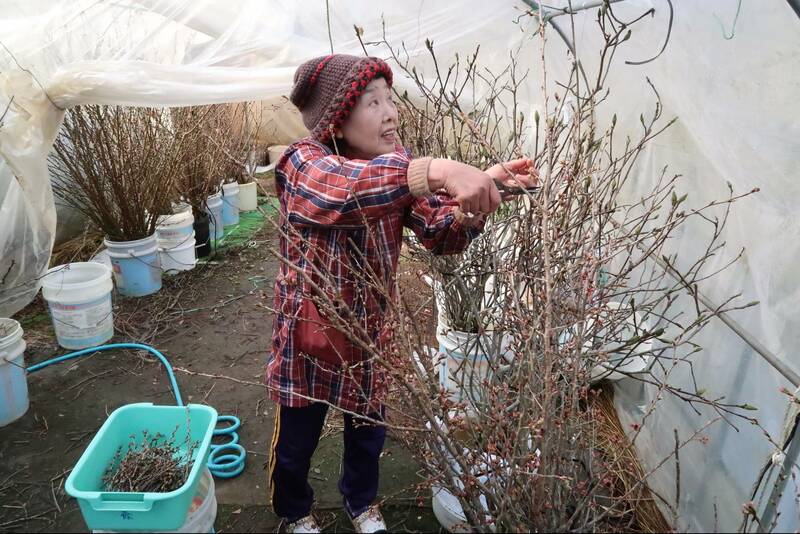 In Kamikatsu, 79-year-old Yukiyo Nishikage gets up at 5:30 a.m. every morning, looking forward to harvesting the leaves and flower petals destined for restaurant dishes in Tokyo and beyond. After breakfast, Nishikage waits by her computer for the day’s orders. Then she happily gets to work. The opportunity has given her new life, she says, and with luck and technology, including drones eventually, she hopes to keep at it until she reaches 100 years old. “It’s just like medicine for me,” she said. 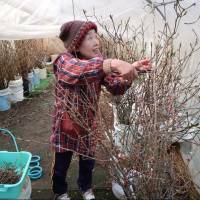 The idea to harvest Kamikatsu’s bounty of foliage came from Tomoji Yokoishi, president of Irodori Co., which works with about 350 people in Kamikatsu, most of them women, with an average age of 70. Kamikatsu is attracting young people who want to learn about farming and the business. The company has accepted more than 600 interns since 2010, with about 20 of them eventually moving to the town. 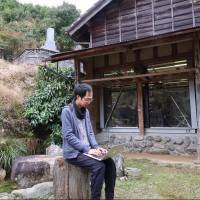 Irodori director Yuki Ohata, 30, has worked for the company since he returned from studying in England in 2010. He married a local resident and they now have two children. He said he was attracted by the opportunity to work for an innovative company.